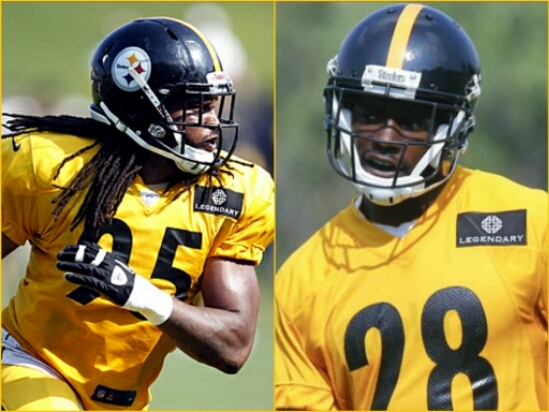 Bounce Back Season a Must for Jones and Allen | "IT'S A STEELERS WORLD"! The Pittsburgh Steelers are hoping for a much needed bounce back year for two key players will help kick start a defense that fell off the mark last season. Something I consider more of a “must”..but it doesn’t hurt to hope. Cornerback Cortez Allen and linebacker Jarvis Jones struggled to stay healthy last season. And their unhealthy status resonated in their play on the field. Jones, whose play was more than less than stellar went from a 2013 tackle total of 41..31 of those solo in 2013 to a total of 18 tackles in 2014. Playing half the games last season than in the 2013 season of 14. Missing 9 games with a dislocated wrist and wasn’t near 100 percent when he returned. Allen ended the season on injured reserve after signing a $25-million contract before the opener. An awful lot to spend on a player unable to play and stay healthy for an entire NFL season. Both players spent time in the offseason training with linebacker James Harrison. Allen says learning from a veteran such as Harrison helped him learn how to deal with the ups and downs of the league. Jones added he’s eager to move forward after getting just three sacks in his first two seasons. Safe to say that both players will either have to bounce back, or bounce out of their respective positions. And being healthy of course is a big part of their success. Because there are other players waiting in line to secure their name in a roster spot. ← Tom Brady Needs To “Man Up”!